1342 people want to do this. 66 people have done this. Europe done! The south east was tougher than I expected. No matter, I've got it down, now I can move onto North America. I'm doing well - I've done this test several times at 100% I think I'm ready to move onto the next continent! 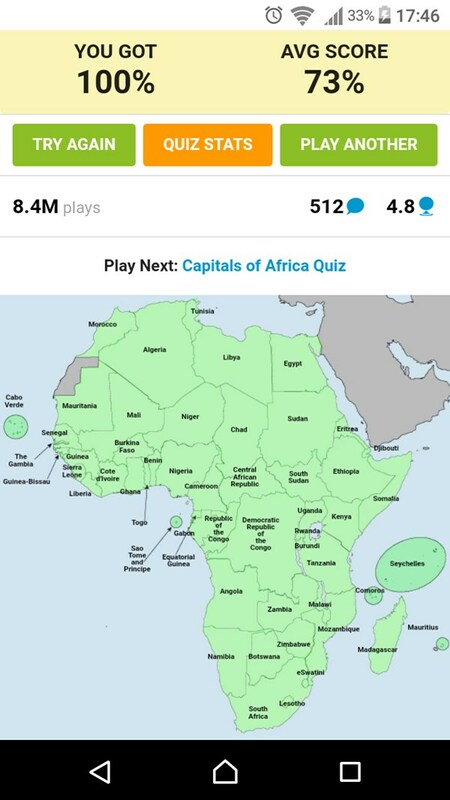 I now feel pretty confident that I know all the African countries I'll try the test again in a few days to test my memory. One month later: I set up a display at the library with "Fun Facts" about me, in honor of my April birthday. And one of the facts I put was, "Knows the location of every country in the world." So this woman comes up to me and says, "Do you know where Myanmar is??? 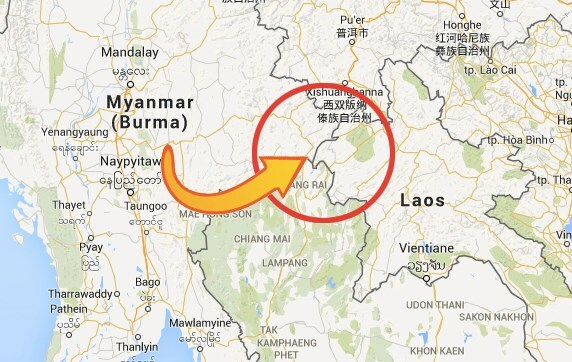 It says you know the location of every country," in a sort of rude voice, and I draw an invisible picture of Myanmar on the map with my finger and say "Yeah, it's over by like Laos, and India." And she says, "NO!!! It's between India and Thailand!!!" Sigh. 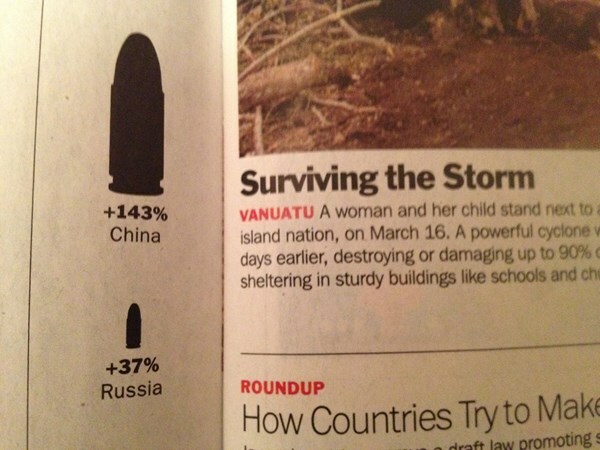 Literally two days after I memorize Oceania, Vanuatu shows up in Time. Done. 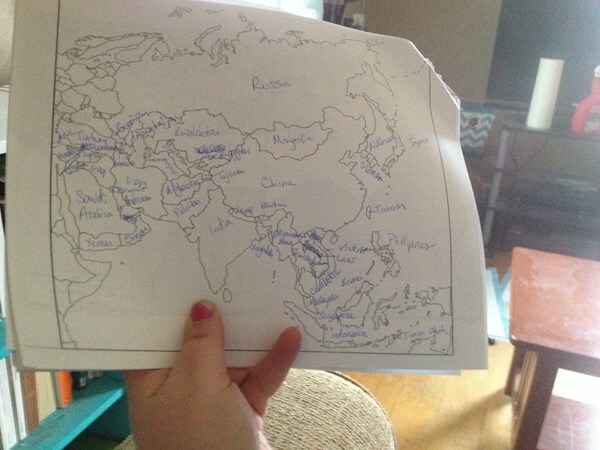 I can fill in a blank map of the world. I feel amazing. There have been several times already that I've heard a country mentioned and, for the first time, known where it is. "Kenya! That's the one that looks like a starfish!" Actually there's a mistake on this but I did it again completely right. 1. Never in my life did I expect to be able to do this. 2. Somebody needs to ask Day Zero why half the photos you upload to this site come out sideways. 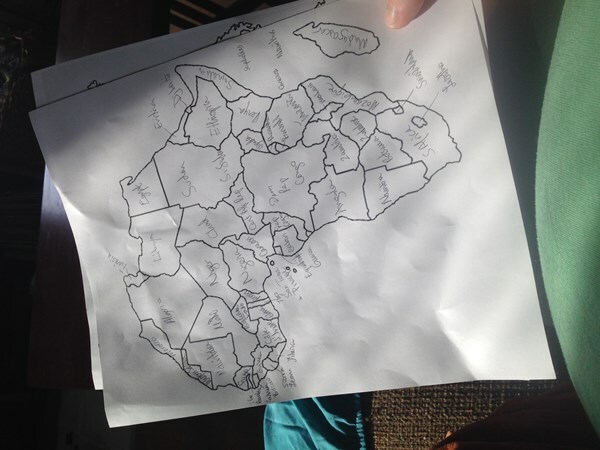 Got Europe, working on Africa for the fun of it! Now I will learn all the other little islands in Oceania and around the Caribbean. Really struggling on Africa. So that's my focus now. 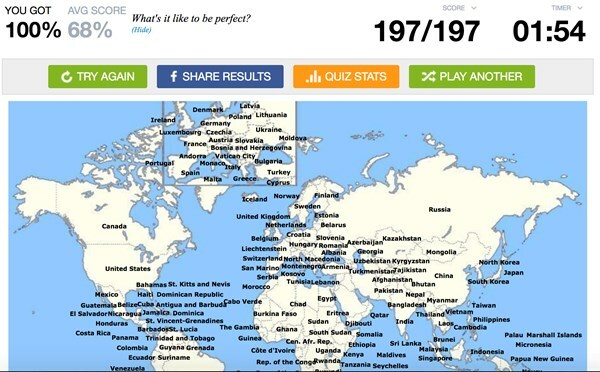 I have got Europe, Asia and South America perfect. I missed 2 from Central America. Africa is getting there slowly but haven't learnt to locate those yet. Learning Oceania now. I got all of Europe. Would have got all of Asia if I learn to spell Azerbaijan and Krygyzstan. Missed 2 countries from South America. Not too bad on N . America. It's Africa I really have to work on. 68% with 133 countries out of 196. 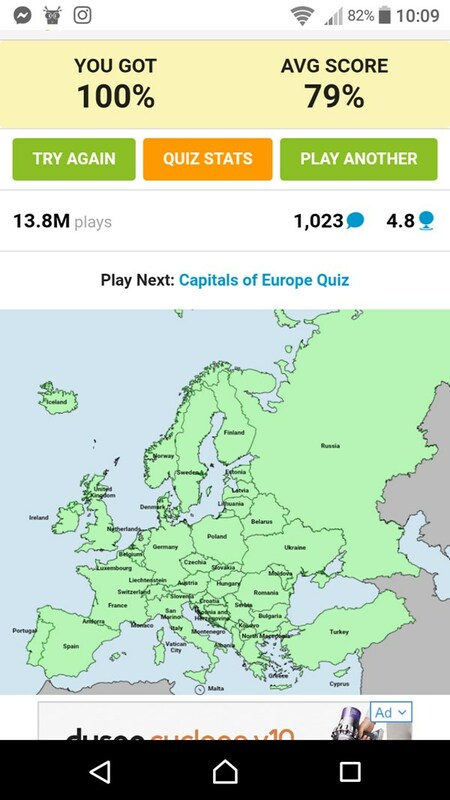 63% with all the countries of Europe complete. 60% 118 out of 196. Getting there slowly. This may take some time. 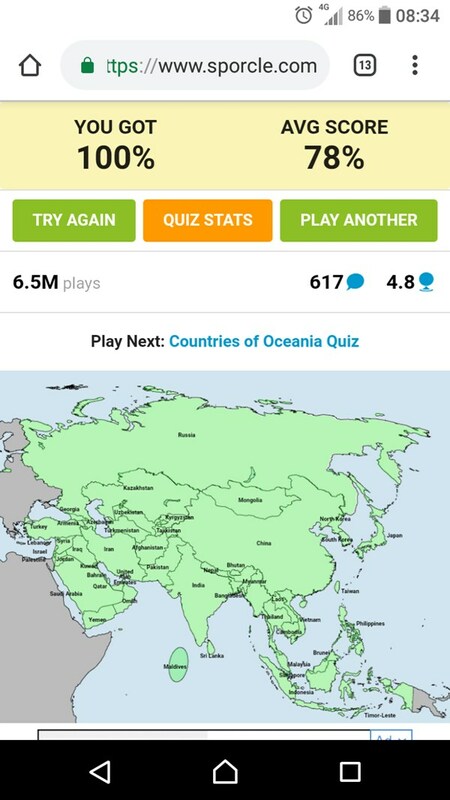 I took this quiz http://www.jetpunk.com/quizzes/how-many-countries-can-you-name.php and scored 50 out of 196 = 26% eeep. And that's just guessing countries not even locating them yet.